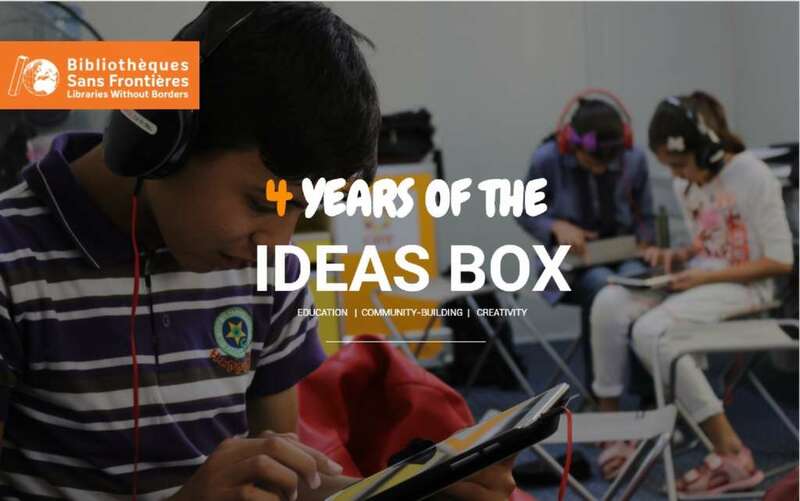 “For 4 years, the Ideas Box has allowed close to a million users to benefit from access to information, education and culture, anywhere, thanks to content adapted to the context of each country”. Patrick Weil, President of Bibliothèques Sans Frontières. 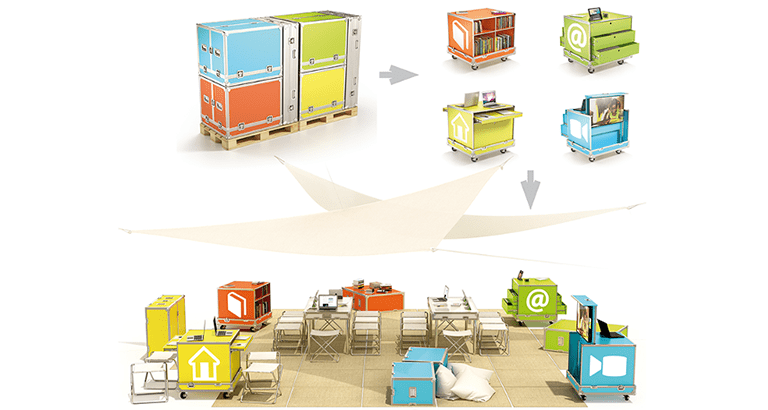 On the occasion of the fourth anniversary of the Ideas Box, the mobile media library kit invented after the earthquake in Haiti, Bibliothèques Sans Frontières (BSF) looks back on its human impact and potential for development. Studies show that the Ideas Box has a positive effect on the scholarity of children and teenagers in refugee camps, where the first Ideas Boxes were deployed 4 years ago, in areas such as rural and urban zones today. 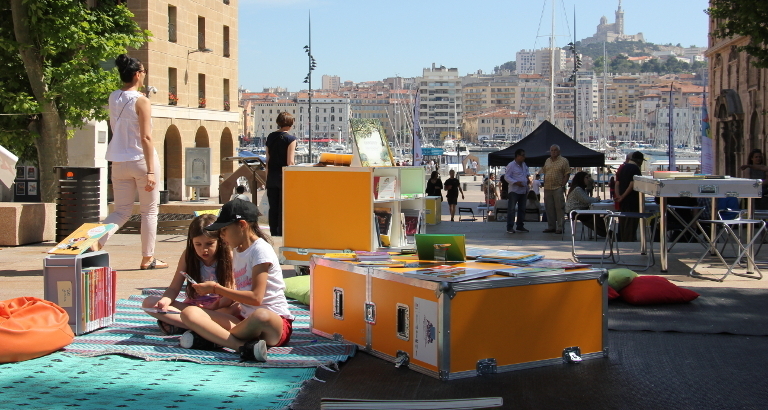 The Ideas Box offers a safe and stable space where it is possible to connect with the world again, to nourish one’s curiosity and express one’s creativity. The Ideas Box has indeed improved 23% of children’s academic skills in Congolese refugee camps in Burundi. In another context, in Colombia, the evaluation of our program destined for peace-making in villages of former zones where the FARC were present, shows that the role of social regulator participates in the peaceful resolution of conflicts. “A library makes us stronger. Absolutely everything can be found in a library, all you have to do is get close and search. In only one year, we have seen impressive changes. Especially surrounding children who have taken ownership over the library in an incredible way! The seeds that we have planted for them are already bearing their fruit”, says Walter, an inhabitant in support at the library of Santa Maria. The Ideas Box also creates a bridge between existing libraries and isolated populations where vulnerable people are excluded. Thus at Sarcelles, a suburban area near Paris, 70% of the population that attended Ideas Box events had never been to a library before. The Ideas Box is also a new way of thinking about public services in the 21st century surrounding the library: it offers not only new services to users, but is also a lever of individual autonomy and professional practices improvement. From Ziguinchor in Senegal to Tierralta in Colombia, passing by Sarcelles, the Ideas Box is a marker of BSF’s ambitions. Our objective is to reach 1,000 Ideas Boxes presence in the world in order to contribute effectively to the reduction of social and geographic inequalities and to grant the library its role as a facilitator of transformation in our societies.